African Americans have been making history in the Anacostia River Corridor since before President Washington established the borders of the District of Columbia in 1791. In this Year of the Anacostia, it's particularly important to know where we've been as we work to build an equitable, resilient future on the shoulders of those who have gone before. Both free and enslaved African Americans were important actors in DC history during its first decades. Free black craftsmen were employed at the Navy Yard in the early 1800s, and both free blacks and enslaved workers helped to build the Capitol and other great government buildings. Although several plantations east of the Anacostia River depended on the labor of enslaved people, free blacks outnumbered enslaved people in Washington 3 to 1 before the Civil War. A free black community grew up east of the Anacostia in the Good Hope area in the early 1800s. In 1867, the federal Bureau of Refugees, Freedmen and Abandoned Lands purchased a 375-acre parcel of land on the east side of the Anacostia from the heirs of John D. Barry, adjacent to the whites-only “suburb” of Uniontown. The property was divided into mostly one-acre lots, which were sold to black families for $125 to $300, including enough lumber to build a small house. The proceeds from the sale were directed to build Howard, Lincoln, and Wilberforce Universities. 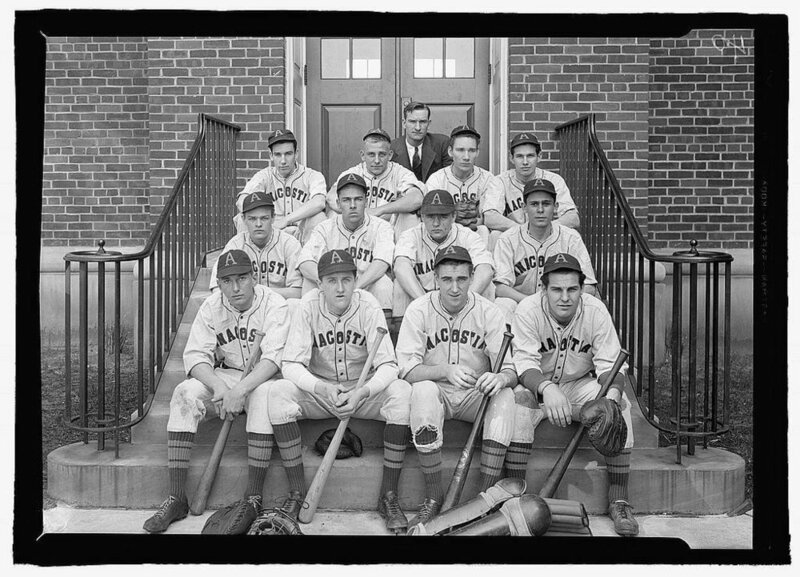 The official name of the area was Potomac City, but its popular name was Barry Farm. Hundreds of families moved in during the first two years, and hundreds more as time went on. The name was officially changed to Hillsdale in 1874 during DC’s brief period of territorial government, but it continued to be commonly known as Barry Farm for decades. Today’s Barry Farm public housing complex was built during World War II, and has been designated for redevelopment for a decade. It is scheduled for demolition in the spring, although a request for an injunction is pending. Frederick Augustus Washington Bailey was born into slavery on Maryland’s eastern shore in 1818. He escaped to New York City at the age of 20 and took the name Douglass. Over the next 30 years he became the nation’s most prominent black writer and speaker. After the Civil War, he lived in Rochester, NY, but had much business in Washington, and his three sons lived in Hillsdale. In 1872 he moved to DC, buying a house near the Supreme Court on A Street NE. Frederick Douglass became a member of the DC’s short-lived Legislative Council, President of the Freedman’s Bank, and in 1877, US Marshall for the District of Columbia, becoming the first African American to gain Senate confirmation. Six months later, he bought the large, prominent house previously owned by Uniontown’s now-bankrupt developer, breaking the old whites-only covenant. He lived in the house for 18 years until his death in 1895, walking or taking the horse-drawn street car across the river to his office. I encourage you to check out Frederick Douglass’ 200th Birthday celebrations at his old house—now the Fredrick Douglass National Historical Site—on February 17th and 18th. Ms. Edmonson is far less well known than Frederick Douglass but also has an interesting Anacostia story. She was born to a free father and an enslaved mother in Montgomery County in 1835. It is unsurprising that the law at the time decreed that children inherited their mothers’ status. At the age of 13, she was one of the 77 enslaved people who attempted to escape from DC in 1848 on the schooner Pearl. After being captured and sent for sale in New Orleans, she was sent back to Maryland, and she and her sister were ransomed by the New York based abolitionist preacher Henry Ward Beecher after a huge fundraising event. She was sent to college in New York and Ohio, supported by Beecher and his sister Harriett Beecher Stowe, the author of Uncle Tom’s Cabin. She became a well-known abolitionist speaker. She and her husband moved to Hillsdale in the early 1870s. She was Frederick Douglass’ friend through abolitionist circles, and became his neighbor when he purchased the house in Uniontown. She died just a few months after he did in 1895. Learn about The Pearl Coalition here. Anacostia Park was first proposed by the Senate Park Commission in 1902. It was designated by Congress in 1918 and dedicated in 1923, on the very day that President Harding died in office. It and all the DC parks were run by the US Army Corps of Engineers. The Corps planned to build an Anacostia River swimming beach for “colored’ people at Poplar Point near Barry Farm, but eventually a concrete pool was built in another area of the city. A handsome field house—today the recreation center next to Anacostia Pool—was built in 1926, and baseball fields, tennis courts, a track, a football field, and a bowling green were planned. The entire DC park system, including Anacostia Park, was transferred to the National Park Service in 1933. Although parts of the original Anacostia Park have been transferred, today the park is still bigger than New York City’s Central Park, San Francisco’s Golden Gate Park, or any of Chicago’s lakefront parks. Shop teacher Lewis T. Green and some of his friends decided to form an African American boating club on the Anacostia River in 1945 and wanted permission to use federal land—the riverbanks were almost all Anacostia Park—to build a clubhouse. Through their connections to well-known educator Mary McLeod Bethune, they got the attention of former first lady Eleanor Roosevelt, who asked Secretary of the Interior Harold Ickes to make it happen. Ickes, who had been FDR’s point person on race relations, arranged for a small area directly adjacent to the railroad bridge across the Anacostia to be used by the club. The Seafarers were the nation’s first black boat club and are still going strong in the same spot after 73 years. They have been great citizens for the Anacostia River, among other things initiating the annual Earth Day cleanup in the 1980s. Read more here. In the early and mid-1900s, Deanwood was the principal African American community in the northern part of DC east of the Anacostia, much as Hillsdale was in the southern part. In 1921, an amusement park opened in Deanwood by a company formed by prominent black businessmen, including Howard D. Woodson, and John Paynter, a grand nephew of Emily Edmonson. It was located on the old site the William Benning/Levi Sheriff plantation, where enslaved people worked before the District’s 1862 Emancipation Act. Suburban Gardens sported “a large dancing pavilion…a caterpillar, a coaster, an areo-swing, a ferris wheel, a dogem, a frolic, a tumble-bug and a fully-equipped free children’s playground,” according a book by Howard University sociology professor William H. Jones. Suburban Gardens flourished as an entertainment spot for African Americans for almost two decades. Today the Sixth District MPD station is on the site, a short walk from HD Woodson High School. During the height of segregation in the 1930s and 1940s, the Anacostia Park swimming pool and a nine-hole golf course were among DC’s whites-only public facilities. (Langston Golf Course, north of Benning Road, was for non-whites.) In June 1949, the US Department of Interior announced that Anacostia Pool would henceforth be desegregated. However, the pool was managed by lifeguards from DC’s Board of Recreation, which still had a policy of strict segregation. Over the next six days, violent incidents escalated to a June 29th confrontation in the nearby park involving about 450 people. The pool was closed for the rest of the summer. It reopened the next year with a greatly increased police presence, but there were no more significant racial incidents. James G. Banks was born in Barry Farm in 1920 and grew up there without electricity or indoor plumbing. His family highly valued education and he graduated from high school and enrolled in Howard University at the age of 16. In 1950, at the age of 30, he became the director of relocation for the DC Redevelopment Land Agency, in charge of relocating families displaced in the “Urban Renewal” of southwest DC. Hundreds of families were relocated to new public and private gardens apartments in Ward 8, beginning a huge demographic shift. Banks later became Assistant Commissioner for Relocation in the federal Urban Renewal Administration, the Executive Director of the United Planning Organization, the Assistant for planning and housing to Washington’s first black Mayor, Walter Washington, and a founder of the still-active Anacostia Coordinating Committee. He died in 2005. His book on public housing policy in DC and nationally, The Unintended Consequences, is worth reading. In a city of grand public buildings, arguably Washington’s greatest civil works project was the Army Corps of Engineers’ reconstruction of the Anacostia River. From 1905 to 1942, the Corps remade the marshy Anacostia into a stone-walled river channel from the Maryland line to the Potomac. Mud dredged from the river bottom was piled up to make islands and thrown over the stone walls to fill in the marshes and create more than 1200 acres of Anacostia Park. Two recreational lakes--Kingman Lake on the west side and East Lake on the east--were part of the re-design. During and after World War II, DC's population boomed once again and a new place was needed to dump construction fill and household trash. The federal government, which directly ran Washington through a three-person Board of Commissioners, decided in 1942 to make a fill site and eventually a burning trash dump in and around what had been East Lake. The dump was a big attraction for scavengers and kids, although the smoke from the continually burning fires was a major irritant for the people in nearby neighborhoods. 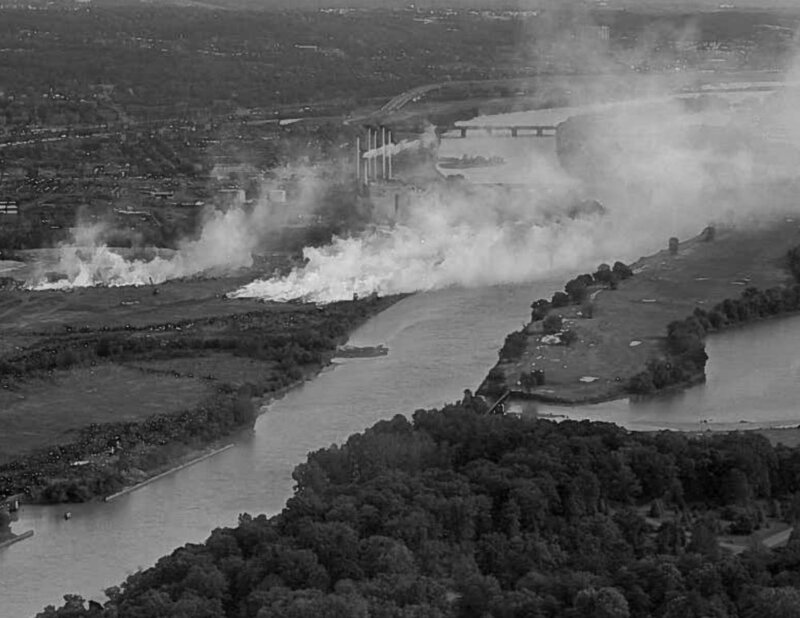 Mayor Washington and federal officials vowed to extinguish the fires by January 1, 1968. However, the deadline was missed, and on February 17, 1968, seven-year-old Kelvin Tyrone Mock was playing with friends in the dump when he was trapped by the flames and killed. The incident caused the immediate extinguishing of the fires. The dump was capped with soil and dedicated as Kenilworth Park, part of Anacostia Park. In 1975, a Dunbar High graduate and Air Force veteran, Joe Henson, led a project to develop National Bicentennial Children’s Island in the middle of the Anacostia. The island (more commonly known as Kingman Island) had been built from 1916 to 1929 as part of the Corps of Engineers’ Anacostia River project. It and a smaller island, which Henson and his team named Heritage Island, had been the source of grand plans and broken dreams for decades. With great energy and will power, Joe Henson made great progress on building up the island as a children-oriented educational and recreation center. However, the project was abandoned as unaffordable in 1980, and virtually disappeared. Last month, DC Mayor Muriel Bowser made an important commitment to invest in preserving the natural character of Kingman and Heritage Islands, and modestly improving them as a center for environmental education center for DC’s schoolkids. Read more here and here. History isn’t just in the textbooks and on Wikipedia. African Americans continue to make history in the Anacostia Corridor every day. I consider myself fortunate to know a few of them, such as Eleanor Holmes Norton, Arrington Dixon, Phil Pannell, Perry Moon, Markus Batchelor, Brenda Richardson, Tish Atkins, Malissa Freese, David Smith, the Reverend Keith Kitchen and Malusi Kitchen. But I want to give a special shout-out to two persons in particular. The first is Tara Morrison, Superintendent of National Capital Parks—East, which includes Anacostia Park, the Frederick Douglass National Historical Site and the Mary McLeod Bethune Council House National Historic Site. Superintendent Morrison began as a ranger at the Boston African American National Historic Site, rose to become Superintendent of African Burial Ground National Monument in New York City, and then held the same position at Rock Creek Park. She will oversee the next round of improvements to Anacostia Park. The other is my friend and colleague Oramenta Newsome, who died last week after a short illness. Oramenta was a native of Alabama and a proud graduate of Auburn and Georgia State. She had been a planner and homeless services coordinator in Ft. Worth before coming north to be a program director at the Enterprise Foundation in Columbia, Maryland. In 1995, she became the Executive Director of the DC program for the Low Income Support Corporation (LISC). Among many other accomplishments, Oramenta committed $50 million in LISC support to projects in the neighborhoods near the 11th Street Bridge Park project. Much about the future of Historic Anacostia, Hillsdale, and nearby neighborhoods will be a testament to Oramenta's lifetime of good work. Read this fine tribute to her from the 11th Street Bridge Park's Director Scott Kratz.